Initial consultations include a comprehensive review of your medical history including current lab reports. A careful review of primary complaints are considered through an Eastern Medicine perspective and treated through their root cause(s). Treatment recommendations may include dietary changes, lifestyle modifications with an emphasis on evidence-based alternatives. Diagnostics laboratory testing may be recommended and covered by insurance. Counseling may include the impact of diet, gut health, hormones and environment influences that impact health challenges. Cathy sees patients in her office, via Skype and phone. 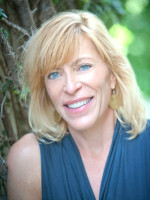 Cathy Margolin, L.Ac. Dipl. OM is an out-of-network provider. Most patients submit for reimbursement, one code for consultations is S947 if you’d like to check your plan.